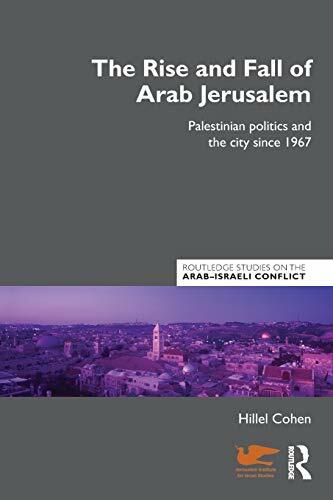 This book examines Palestinian politics in Jerusalem since 1967, and in particular since the outbreak of the second Intifada in September 2000, focusing on the city’s decline as an Arab city and the identity crisis among the Jerusalemite Palestinians. Principally concerned with Palestinian politics and how they have evolved over time from the grass roots upwards, it covers issues such as the separation wall, military activity and terror, planning regulations, the joint Jewish-Arab struggle against the occupation, and efforts to remove Palestinians from the city. 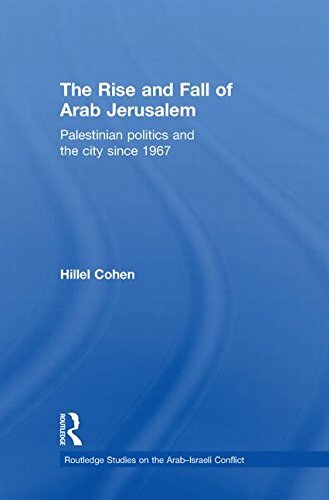 Drawing upon conversations with hundreds of Palestinians – Islamists, nationalists, collaborationists, and a-political people – as well as upon military courts files and Palestinian writings, Hillel Cohen tells the story of the failure of the Palestinian struggle in Jerusalem in both its political and military dimensions. He points at the lack of leadership and at the identity crisis among Palestinian Jerusalemites which were created by Israeli policies (the separation wall, the closure of Palestinian institutions) and Palestinian faults (the exclusion of Jerusalem from the Palestinian Authority in Oslo Agreements, or the suicide attacks in the second Intifada). Providing a broad overview of the contemporary situation and political relations both inside the Palestinian community and with the Israeli authorities, the book gives a unique insight into Palestinians' views, political behaviour, and daily life in Israel's capital. As such, it is an important addition to the literature on Palestinian politics, Jewish and Israeli studies, and Middle Eastern politics.